Chelsea Football Club (also known as the Blues), founded in 1905, is a Premier League football team that plays at the Stamford Bridge football ground in south-west London. Chelsea have won the Premier League 3 times, the last being the 2009/10 season. Despite its name, the club is based just outside the Royal Borough of Kensington and Chelsea, in the London Borough of Hammersmith and Fulham. It is on the Fulham Road, which runs between Fulham and Chelsea. For a number of years Chelsea became one of the dominant forces in English football, under the leadership of "the chosen one" taking away Manchester Uniteds crown. However since that time they've chopped and changed managers on a regular basis giving the team little consistency and slipping them back in amongst the also rans one season, then champions the next. That could all have changed 2 seasons ago with the return of Jose Mourinho, just his arrival seemed to have had a big effect on the squad! Although Chelsea pushed hard for the title they were eventually edged out by Manchester City, finishing 3rd. However the following season the "Special One" returned to winning ways and brought Chelsea to the Premier League title at a canter. The season after under what seemed to be a player revolt Jose lost his job and Chelsea finished nowhere. A true yo-yo team. It was up to Antonio Conte to drag them back to the top of the yo-yo with a dominant Premier League win is his first season in charge. If you're looking for big games then any game featuring Chelsea v Man Utd is now regarded as one of the biggest games in English football. Over recent years Chelsea have also started a bitter rivalry with Liverpool, games between the Liverpool and Chelsea teams have always had an edge and tend to be very close affairs. With Liverpool getting ever closer to winning a title that rivalry is set to only increase. Finally Antonio Conte seems determined to wind up a resurgent Spurs so that old rivalry has had some spice poured on it, not least as both teams are now regular challengers for the title. 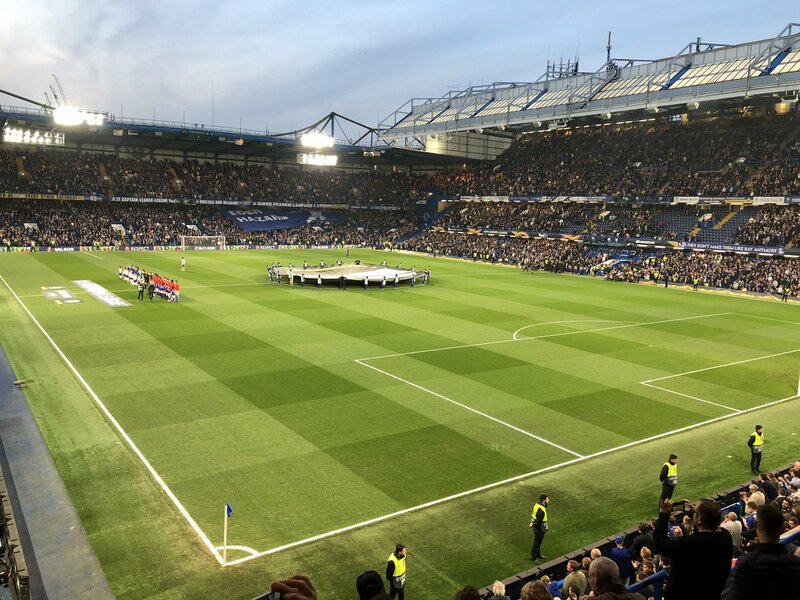 Over recent years it has become harder and harder to get hold of Chelsea tickets, a live match is something every fan should try and experience at least once. 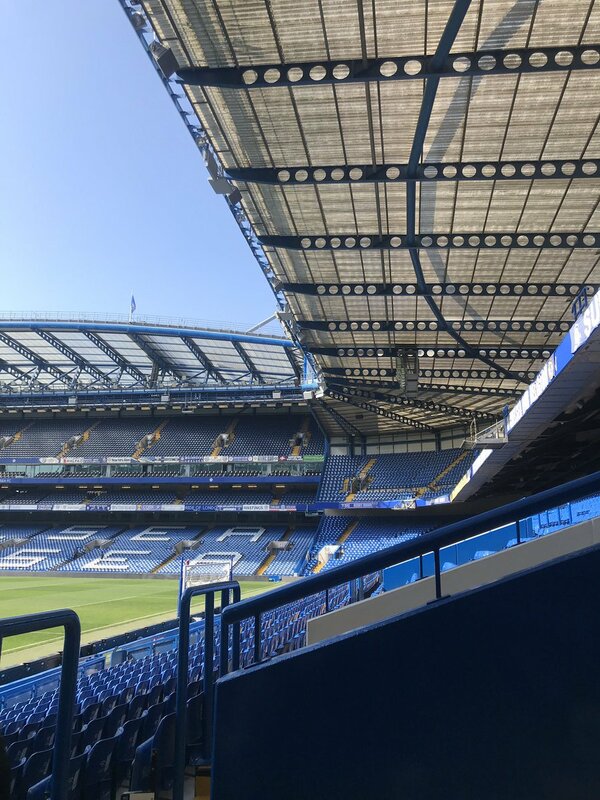 Thoughtfully Chelsea have now teamed up with a ticket exchange website to give their fans the best possible chance of securing match day tickets. 90'+4' - Second Half ended - Chelsea 4, Slavia Prague 3. 90'+2' - Shot blocked. David Luiz - Chelsea - shot with right foot from outside the box is blocked. 90'+1' - Mateo Kovacic - Chelsea - won a free kick in attack. 90' - Missed chance. Alex Kral - Slavia Prague - shot with right foot from outside the box is high and wide to the left. Assist - Milan Skoda. 90' - Shot blocked. Miroslav Stoch - Slavia Prague - shot with right foot from outside the box is blocked. 89' - David Luiz - Chelsea - receive yellow card for hand ball. 87' - Substitution - Chelsea. Callum Hudson-Odoi for Pedro. 85' - Substitution - Slavia Prague. Milan Skoda for Jaromir Zmrhal. 84' - Offside - Chelsea. Emerson with a pass, however Mateo Kovacic is in offside. 83' - Mateo Kovacic - Chelsea - won a free kick in attack. 83' - Kepa Arrizabalaga - Chelsea - receive yellow card. 82' - Missed chance. Miroslav Stoch - Slavia Prague - shot with right foot from outside the box goes high. Assist - Ibrahim Benjanim Traore. 78' - Substitution - Slavia Prague. Miroslav Stoch for Petr Sevcik. 77' - Corner - Slavia Prague. Conceded by Emerson. 76' - Offside - Slavia Prague. Tomas Soucek with a pass, however Peter Olayinka is in offside. 75' - Emerson - Chelsea - receive yellow card for a foul. 75' - Ondrej Kudela - Slavia Prague - won a free kick on the right wing. 73' - Ondrej Kudela - Slavia Prague - receive yellow card for a foul. 73' - Willian - Chelsea - won a free kick in defence. 70' - Substitution - Chelsea. Jorginho for Ross Barkley. 66' - Offside - Chelsea. Kepa Arrizabalaga with a pass, however Olivier Giroud is in offside. 65' - Substitution - Chelsea. Willian for Eden Hazard. 64' - Corner - Chelsea. Conceded by Michael Ngadeu-Ngadjui. 63' - Ross Barkley - Chelsea - won a free kick in defence. 62' - Tomas Soucek - Slavia Prague - won a free kick in attack. 59' - David Luiz - Chelsea - won a free kick in defence. 59' - Offside - Slavia Prague. Simon Deli with a pass, however Peter Olayinka is in offside. 58' - Ondrej Kolar - Slavia Prague - won a free kick in defence. 57' - Corner - Chelsea. Conceded by Ondrej Kudela. 55' - Missed chance. Olivier Giroud - Chelsea - shot with right foot from the right side of the six yard box missed. Assist - Emerson with a cross. 54' - GOAL!!! Chelsea 4, Slavia Prague 3. Petr Sevcik - Slavia Prague - shot with right foot from outside the box to the top left corner. Assist - Tomas Soucek. 53' - Tomas Soucek - Slavia Prague - receive yellow card for a foul. 53' - Ross Barkley - Chelsea - won a free kick in attack. 52' - Substitution - Slavia Prague. Peter Olayinka for Lukas Masopust. 51' - GOAL!!! Chelsea 4, Slavia Prague 2. Petr Sevcik - Slavia Prague - shot with left foot from outside the box to the right corner. Assist - Tomas Soucek. 50' - Ross Barkley - Chelsea - won a free kick on the left wing. 48' - Missed chance. Tomas Soucek - Slavia Prague - shot with the head from the centre of the box goes high. Assist - Petr Sevcik with a cross after corner. 47' - Corner - Slavia Prague. Conceded by Ross Barkley. 47' - Ibrahim Benjanim Traore - Slavia Prague - won a free kick in attack. 46' - Pedro - Chelsea - won a free kick in defence. 45' - Second Half starts Chelsea 4, Slavia Prague 1. 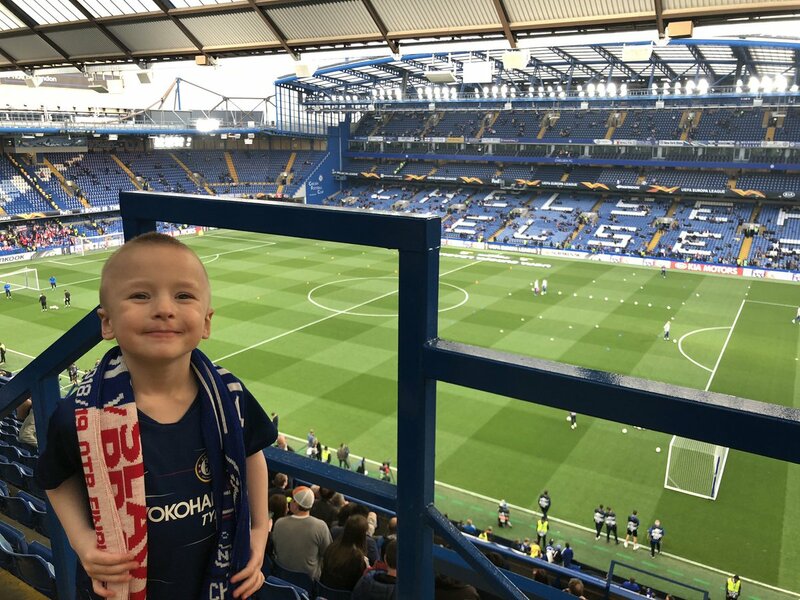 45'+2' - First Half ended - Chelsea 4, Slavia Prague 1. 45'+1' - Olivier Giroud - Chelsea - won a free kick in defence. 42' - Corner - Chelsea. Conceded by Michael Ngadeu-Ngadjui. 42' - Shot blocked. Emerson - Chelsea - shot with left foot from the left side of the box is blocked. Assist - Eden Hazard. 40' - Simon Deli - Slavia Prague - won a free kick in attack. 39' - N'Golo Kanté - Chelsea - won a free kick in defence. 33' - N'Golo Kanté - Chelsea - receive yellow card for a foul. 33' - Jan Boril - Slavia Prague - won a free kick in defence. 32' - Eden Hazard - Chelsea - won a free kick on the left wing. 31' - Alex Kral - Slavia Prague - won a free kick on the right wing. 29' - Corner - Slavia Prague. Conceded by César Azpilicueta. 28' - Offside - Slavia Prague. Tomas Soucek with a pass, however Petr Sevcik is in offside. 27' - GOAL!!! Chelsea 4, Slavia Prague 1. Pedro - Chelsea - shot with left foot from few metres to the right corner. 27' - New attacking attempt. Olivier Giroud - Chelsea - shot with left foot inside of six yard box - left side is saved by goalkeeper in the centre of the goal. Assist - Emerson with a cross. 25' - GOAL!!! Chelsea 3, Slavia Prague 1. Tomas Soucek - Slavia Prague - shot with the head from the centre of the box to the right corner. Assist - Petr Sevcik with a cross after corner. 25' - Corner - Slavia Prague. Conceded by Emerson. 25' - New attacking attempt. Simon Deli - Slavia Prague - shot with the head from the centre of the box is saved in the left corner. Assist - Jaromir Zmrhal. 24' - Lukas Masopust - Slavia Prague - won a free kick in attack. 24' - Shot blocked. Tomas Soucek - Slavia Prague - shot with right foot from outside the box is blocked. Assist - Jan Boril. 20' - Delay in match Eden Hazard - Chelsea - - injury. 20' - Eden Hazard - Chelsea - won a free kick on the left wing. 19' - Mateo Kovacic - Chelsea - won a free kick in defence. 19' - Missed chance. Jan Boril - Slavia Prague - shot with left foot from outside the box is high and wide to the left. Assist - Alex Kral. 17' - GOAL!!! Chelsea 3, Slavia Prague 0. Olivier Giroud - Chelsea - shot with right foot from the centre of the box to the left corner. Assist - Pedro. 16' - Missed chance. Jaromir Zmrhal - Slavia Prague - shot with left foot from the left side of the box missed. Assist - Ibrahim Benjanim Traore with a cross. 14' - N'Golo Kanté - Chelsea - won a free kick on the right wing. 13' - David Luiz - Chelsea - won a free kick in defence. 9' - OWN GOAL! by Simon Deli, Slavia Prague. Chelsea 2, Slavia Prague 0. 9' - Pedro - Chelsea - hits the right post with a shot with right foot from few metres. Assist - Eden Hazard. 8' - Offside - Slavia Prague. Jaromir Zmrhal with a pass, however Petr Sevcik is in offside. 8' - Shot blocked. Eden Hazard - Chelsea - shot with right foot from the left side of the box is blocked. Assist - Ross Barkley. 5' - GOAL!!! 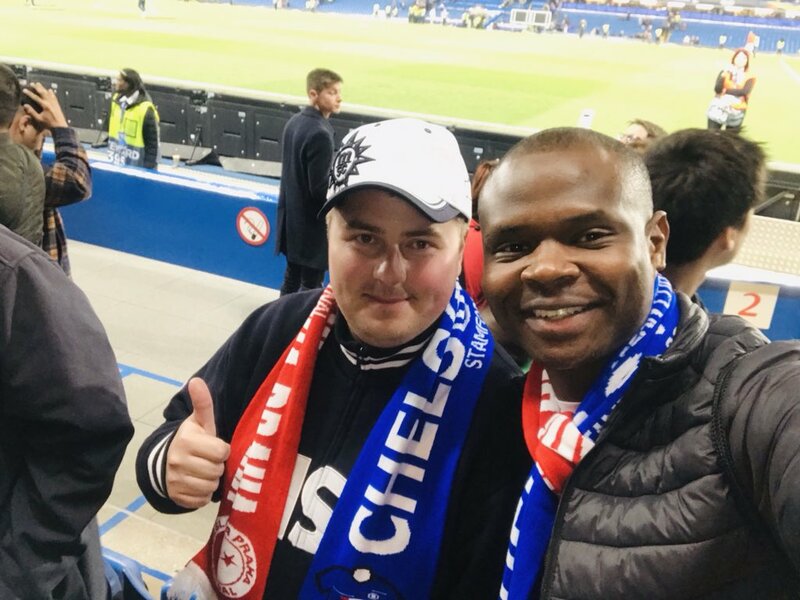 Chelsea 1, Slavia Prague 0. Pedro - Chelsea - shot with right foot from the right side of the box to the centre of the goal. Assist - Olivier Giroud with a through ball. 5' - Olivier Giroud - Chelsea - won a free kick in attack. 4' - N'Golo Kanté - Chelsea - won a free kick in defence. 3' - Delay in match Eden Hazard - Chelsea - - injury. 2' - Eden Hazard - Chelsea - won a free kick on the left wing.